Virginia-based BMW aftermarket and tuning experts BimmerWorld have confirmed its driver lineup for 2016. 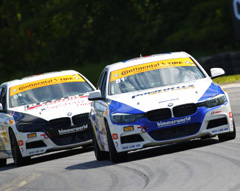 BimmerWorld newcomers Jerry Kaufman and Kyle Tilley will share the turbocharged No. 81 BMW 328i, and team owner/driver James Clay and BimmerWorld veteran Tyler Cooke will share the No. 84 OPTIMA Batteries BMW 328i. Built on the F30 platform, BimmerWorld introduced BMW’s 4-cylinder turbo coupe to IMSA’s Continental Tire Series in 2014. 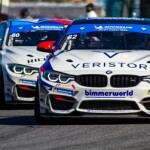 With two seasons of exceptional promise recorded in the Street Tuner class, Clay expects the inbound tandem of Kaufman and Tilley, and his partnership with young IMSA standout Cooke, to steer BimmerWorld and its F30s to the front in 2016. Cooke has risen up the ranks with BimmerWorld to become one of the most promising talents in the ST field. 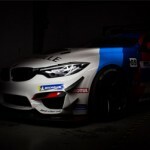 Building off a breakout season 2015, he’ll continue his ascension with Clay, a race-winning veteran, to form a championship-caliber pairing in the OPTIMA Batteries BMW. 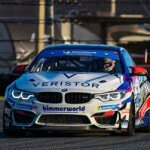 BimmerWorld’s ongoing efforts to groom talent through club racing, and from the BMW Car Club of America, in particular, will see Kaufman make the leap to IMSA. For Tilley, who serves as Kaufman’s driver coach and has raced throughout the world in a variety of cars, the shift to a BimmerWorld-built BMW 328i presents a significant opportunity next year. “I am thrilled to be back in a full-time seat, and not only am I driving with a coaching client, but a close friend, and it is going to be a fun year!” he said. “I cannot express how grateful I am to the Kaufman family, James Clay, and all of his partners at BimmerWorld for the opportunity. With Jerry’s existing relationship with both BMW and BimmerWorld, the F30 was the obvious choice. Having had the chance to test the car at VIR, I am confident that we have the potential to be a competitive package. Clay, along with his BimmerWorld mechanics and engineers, and numerous technical partners, has worked tirelessly during the brief offseason to take the next step with the BMW F30 package. With the new season set to start in just over a month at Daytona International Speedway, their efforts will be put to the test as a new Championship pursuit begins.